During my stay in US, I had gone into Best Buy one day to buy a laptop. After selecting the laptop when I went to the cashier, he was telling me about an interesting value add service provided by Best Buy called “The Geek Squad”. Though I did not avail of the service, I started wondering why was Best Buy interested in selling me Laptop security and identity protection services while selling me the laptop. In the last couple of years many retailers and even some manufacturers have gotten into services. 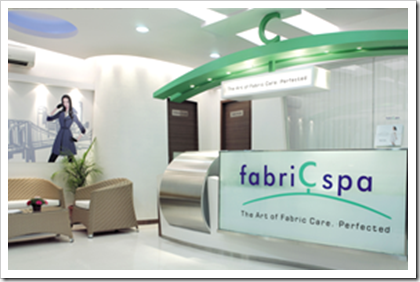 A good example in India is Fabric Spa, the services arm of Jyothy Laboratories. Fabric Spa offers cleaning and dry cleaning laundry services and has a very good tie up with most corporate offices and apartments blocks. In Bangalore their services are very popular as they offer door to door pick up and drop services. 1 So why is this happening? I can think of three reasons why. So why is this happening? I can think of three reasons why. Typically the margins in the services business are much higher than the products business. As more and more products get commoditized the margin on them is lower. This is true of electronics as well as FMCG products hence the need for Best Buy and Jyothy Laboratories to diversify into services. The services businesses that they have entered into are more annuitized repeatable businesses. The purchasing cycle is either contractual that is it lasts for a year or are more frequent in case of a laundry. So in both cases the cash flows are more regular. This helps them to do a related diversification and reduces the risk of depending on just one kind of business. Let us look at Lakme Saloons from Unilever or Kaya Skin Clinic from Marico. In both cases this is just a brand extension into a related area that diversifies their risk. There could be other reasons but these are the three of the most prominent ones. On another front most Automobile manufacturers have started paying a lot of attention to their service centers. For example both Maruti-Suzuki and Hyundai give me regular calls reminding me of the service schedule. Maruti even offers a free pick up and drop for the care and in my three years of servicing the vehicle I am yet to visit the service station. Again the Auto margins are so low that dealerships have now turned to services to ensure that they make money on the automobile. So does every manufacturer have a good experience in services? The answer is NO. Reliance have learnt the hard way. It has been years since they have been running services business like Java Green without making much headway. Similarly Tata Tea launched the “Chai-Unchai” tea parlors but has been forced to scale down due to its non-viability. In conclusion services are a very different ball game, something that Manufacturing behemoths like Reliance and Tata have found out. But this is a great business to be in if you can manage the customers who are getting more and more demanding by the day. I welcome your views and comments. Do you think this is a viable business model for manufacturers and retailers? Or is it just applicable to some segments and industries. Please do let us know. That is correct in services business the Capex is much lower and most of the cost incurred is the Opex. Also Margins are higher as the service is always customized. Thanks Doc for this wonderful sharing! I think it is a part of innovative marketing. Services are not products that’s why it has no manufacturing cost and that’s we can assume that it is a better margin business. I think that was a good insight and Google moving into the product space is a very good example. But I think Google is more a product company than services. With Android and their own OS, it was a matter of time it moved into the Phone space. I agree these are strategic decisions and made keeping their own core strengths and industry in mind. Many firms have tried the reverse also. Tata Indicom and Reliance – Both started offering mobile connections before they started offering handsets as a tie up offer. Same for Google. The Android phone came after the Android App service (although both may have been developed simultaneously). IT firms started with services but are now selling products because they have greater control on the margins. I think it depends on the opportunity at hand and market maturity to adapt to such products/ services. However, in any case, if the initial product/ service does not have strong following, the subsequent one would most likely fail.